The incomparable Superbo Italian Basil boasts intense, sweet, savory ambrosial flavor! Basil, "King of Herbs" and a favorite of gardeners and gourmets around the world loves summertime heat. Properly grown in full sun as it is here at Pearson’s Gardens, Basil will thrive throughout summer and fall. In fact, its flavor will intensify with higher temperatures. Frequent harvesting, and trimming will stimulate fresh growth, and keep your Basils strong and vigorous all season long. 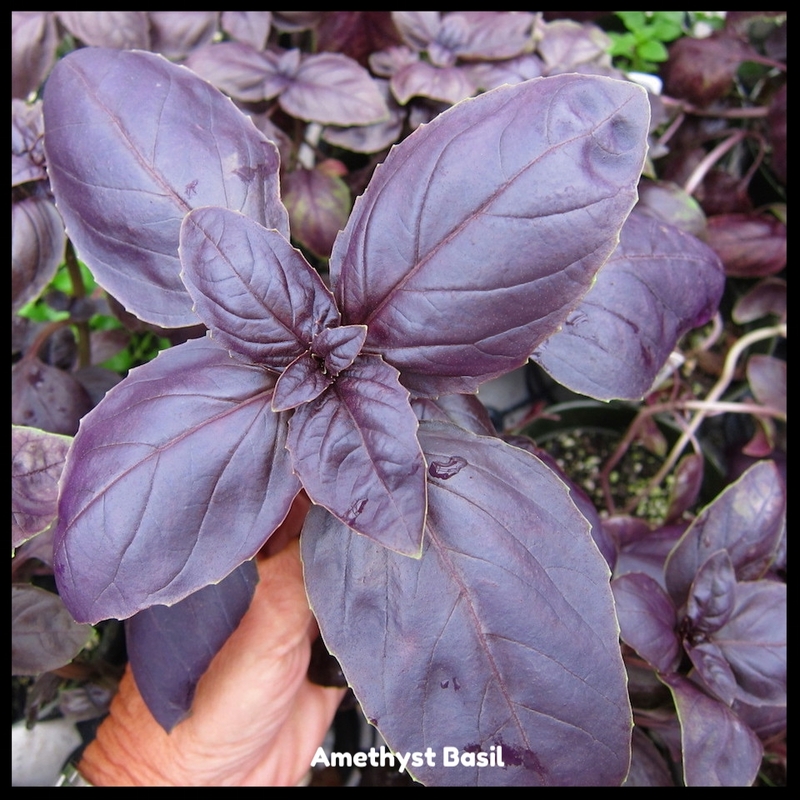 Basil is a celebration of diversity.... flavors, fragrances, forms, and colors. The uses of Basil varies even more widely. 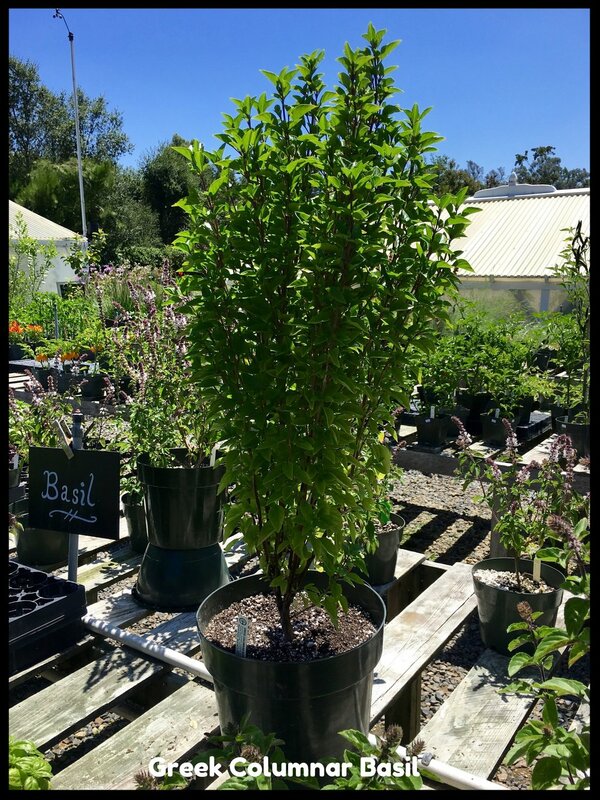 Check out the slideshow and primer below, come visit the nursery to make your selections, and let your imagination take it from there! Holiday Reminder - Gift Certificates are available at the nursery gazebo & may also be ordered by phone.